Penn State’s 2018 season came to a close following a 27-24 Citrus Bowl loss at the hands of the Kentucky Wildcats, and players are starting to look toward the future. The Nittany Lions have a large majority of their roster coming back for 2019, but five starting players have already declared their entrance into the 2019 NFL Draft. 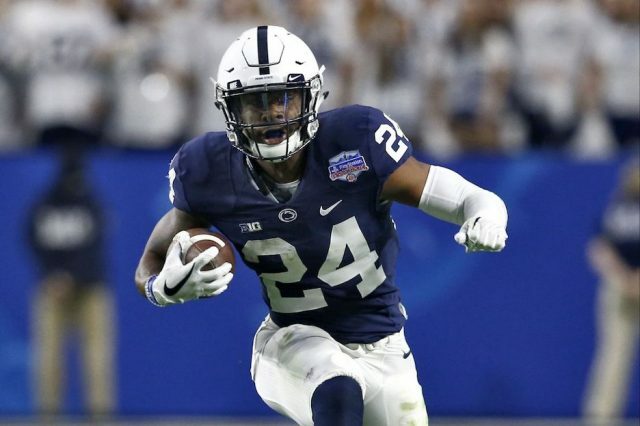 The Nittany Lions will be losing their starting running back as Miles Sanders looks to continue breaking ankles at the NFL level. He may not have been Saquon Barkley, but he still did a great job of filling in for the New York Giants star rookie with 1,413 yards from scrimmage and nine rushing touchdowns. Luckily for James Franklin, running back is one position the team will still be very deep at next season. Freshman Ricky Slade really came on toward the end of the 2018 season, and the team has two four-star running back recruits ready to join the party in Devyn Ford and Noah Cain. Penn State has seen quite a bit of shuffling along the offensive line in the James Franklin era, but no one has been as versatile as Connor McGovern. Since the start of the 2016 season, McGovern has started 35 total games while playing three different positions (tackle, center, and guard). He has done his best to keep Trace McSorley upright against the vaunted front sevens of the Big Ten conference including Ohio State, Michigan, and Wisconsin. Bates has been the team’s best tackle, and realistically the only consistently reliable member of the offensive line over the last three years and will be sorely missed. He may not be as adaptable as McGovern, but he can line up on both the left and right side. Four-star recruit Anthony Whigan was the only offensive tackle that the team recruited in their 2019 class and has a legitimate chance of starting as a true freshman. The team’s star defensive end is ready to take his skills to the pro level and sack the NFL’s best quarterbacks. Shareef Miller recorded 32.5 tackles for a loss, 15 sacks, and three turnovers over the course of his Nittany Lions career and has been a critical piece of Penn State’s defense. The front four is going to need somebody to break out in 2019 as a result. Luckily the team has two four-star defensive ends coming in and hoping to make an impact. The team’s starting defensive tackle has opted to forgo his senior season and it’s going to force Penn State to make some changes in their front four. 13.5 sacks and four turnovers over three years may not open a lot of eyes, but Givens regularly wreaked havoc on opposing offensive lines. He was regularly double-teamed and forced teams to get the ball out quicker. Any player with that kind of impact deserves to be playing in the NFL.